Frank Lloyd Wright is one of architecture’s most important figures, and you can see his work in five countries and 37 of 50 states. But when it comes to New York City, there is only one major Wright construction to be found: The Guggenheim. There is also a pre-fab house in Staten Island and one in Blauvelt just north of the city, but what other work did he do in the five boroughs? It turns out that Wright designed two other major projects in NYC, but both have been demolished. 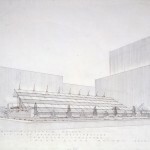 Here’s a look at these lost works by the great architect. In 1953, an exhibition called “Sixty Years of Living Architecture: The Work of Frank Lloyd Wright” opened on the property where the Guggenheim would later be built. 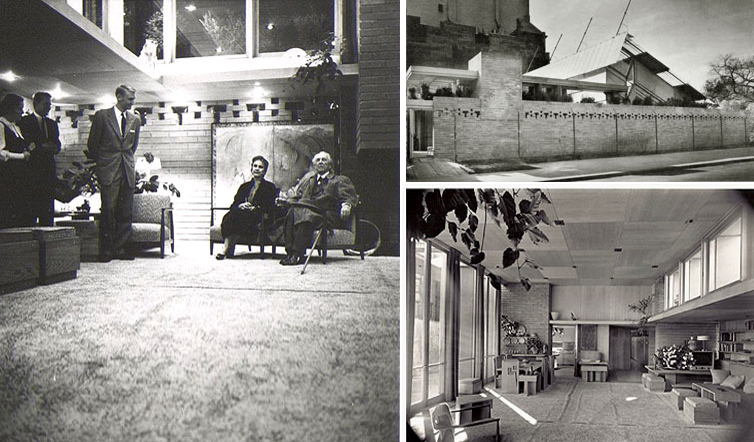 It contained the first two Frank Lloyd Wright works in New York City: a model Usonian House and a pavilion. 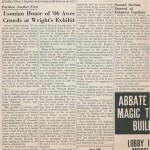 The ideal middle-class Usonian Home and exhibition pavilion were always going to be temporary, but the excitement of finally having a Wright structure in New York made for a popular event at the time. 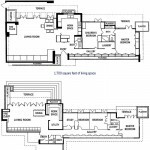 The home featured all of the typical traits found in Wright’s Usonian constructions, including floor-to-ceiling doors and windows, an open plan and a cantilevering roof. The Guggenheim website has more photos as well as a brochure and exhibition catalog for the Usonian House Exhibition. 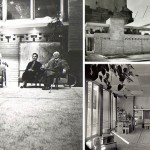 The Hoffman Auto Showroom was such an unknown part of Frank Lloyd Wright’s legacy that no one realized what they were losing until it was gone. 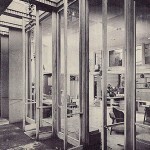 The showroom was vacated by Mercedes in January, then demolished suddenly in March, after the Landmarks Preservation Commission called the building owner to begin declaring the showroom an interior landmark. 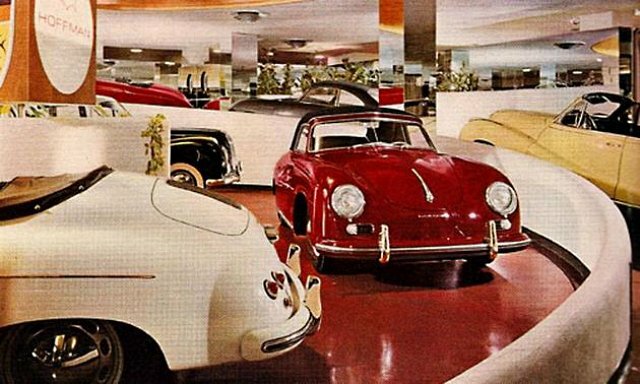 Sitting at the corner of Park Avenue and 56th Street, the showroom was originally built to display the imported Mercedes-Benz cars of Maximilian Hoffman. 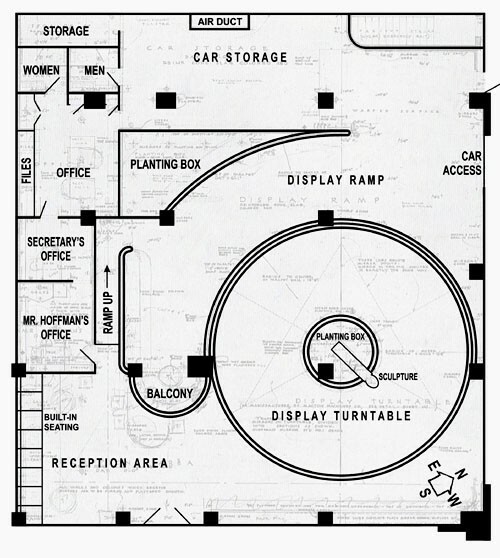 The central feature of the showroom was a rotating spiral ramp to display the cars, which would be echoed later in the Guggenheim’s spiral structure. 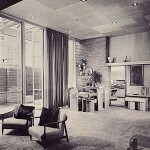 The interior of the model home for the NYC exhibition. 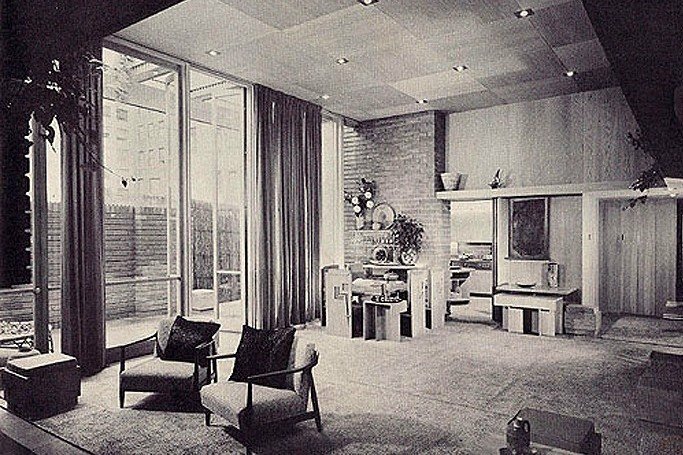 A view into the interior of the model home for the NYC exhibition. 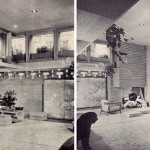 Mr. and Mrs. Wright (left); An exterior and interior shot of the home built for the NYC exhibition (right). 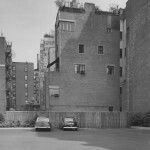 The parking lot where the Guggenheim Museum sits today. 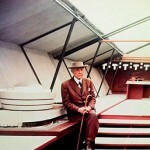 Frank Lloyd Wright at the Unisonian home pavilion in New York. 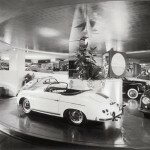 The Hoffman Auto Showroom displayed imported cars on a rotating spiral runway. 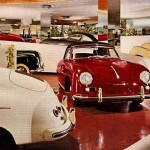 Mercedes would later come to inhabit the showroom, but it was originally designed to display Jaguars. 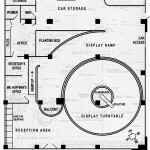 The floorplan of Frank Lloyd Wright’s auto showroom that served as a case study for the spiral design which would be used so successfully in the Guggenheim. 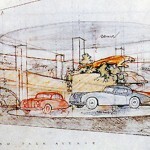 A Frank Lloyd Wright sketch of the showroom.